Sarah Blasko is one of Australia’s most beloved songwriters. Since her 2004 debut The Overture & the Underscore, she has consistently impressed with her eclectic and colourful chamber pop compositions, often coloured by strings and occasionally complemented by subtle electronic touches. On past releases, her lyrical themes have often delved into the personal, sometimes going into autobiographical themes, such as on I Awake (2012). However, on her new effort, Depth of Field, she makes a conscious attempt to step away from these themes, writing from perspectives of different people and scenarios other than her own. The album’s title, in itself, alludes to one’s own perspective of the world and of the others in it, as well as how it can change depending on one’s own place within it. Sonically, the album shares similarities with her last effort, Eternal Return, which carried more of a synthpop overtone, but it also builds on that sound – the album is dominated by airy and ethereal synthesizers and dramatic string arrangements, with sprinkles of programmed percussion for good measure. For the process of writing the songs that would make up the album, Blasko took a sort of reverse approach, with the songs starting life on the stage. During a residency at Sydney’s Campbelltown Arts Theatre, she took the opportunity to experiment after hours, setting up the stage to replicate a live setting and taking inspiration from experimental films and spoken word pieces. One of the songs that emerged from this process is album opener “Phantom”. Ushered in by a circling synth bass and booming electronic drums, the song is driven by bright, seductive piano chords, evoking striking sunsets. The synths quietly explode and flutter in the very airy chorus like solar flares, before the strings catch up to add a subtle dramatic touch. Lyrically, the song concerns a powerful connection and love that can be felt even when the other is not there – a “constant force of energy”. Strings swell in the outro as Blasko audibly pants over the twilit backdrop bathed in shades of deep blue. The twilit atmosphere carries over into the following “A Shot”, which features a very beautiful but bittersweet chord progression, taking it into a more nocturnal territory with the ambient keyboards. Single piano pings ring out like distress signals, while the strings colour in deep shades of red, playing into the deep regret and betrayal portrayed in the song. The filtered guitars in the chorus seem to further symbolise this betrayal and reinforce the “shot taken right to the heart”. 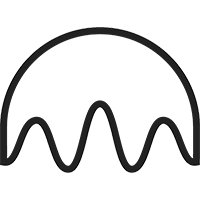 If there is one thing to nit-pick about the song, it is the incessant programmed hi-hats, which seem slightly invasive and may divert attention from the rest of the song. While Blasko mostly keeps in her somewhat wispy lower register throughout the album, she does at times pull into a higher register, giving her vocals all the more emotional weight. This is evident in the desperation-laden bridge of “A Shot”, but even more so on the next song – “Never Let Me Go”. Seemingly alluding to a possessive, co-dependent relationship, the song for the most part has a fairly skeletal feel, with a steady four-on-the-floor beat and muted, bassy keyboards. While the strings build tension in the second half of the verse, it is all whisked away for the minimal, quiet shout of a chorus. But of course, the rage and the desperation all compound in the final third – the strings swell, with additional percussion, as everything is collapsing around her while she shouts the title phrase in a desperate plea. However the plea is not answered, as she is left defeated as the lover she so desperately clung on to walks away. On the flip side, we get perhaps the album’s most beautiful and tender moments during its penultimate song, “Read My Mind”. Seemingly an ode to new life, the song flutters with anticipation leading up to the chorus. It is simply the prettiest moment on the record and perhaps one of the finest of the year so far. It’s a sunny and string-kissed refrain that flows with the energy of love, really tapping into something very pure and tender. As she reaches into that higher register, her voice creaks very slightly, yet it only makes the moment all the more endearing and beautifully vulnerable. As an almost polar opposite to “Read My Mind”, mood-wise, comes perhaps the album’s starkest song in “Making It Up”. Similarly to on “Never Let Me Go”, the tension is expertly held back, but this time, there is no proper release, or at least, only one of anger. Delivered from the perspective of a man, the song is a cruel take down of a relationship, of his lover, as he reveals that, in fact, all it was was a lie. Here, Blasko sounds downright threatening, with a cruel bite to every word, her vocals drenched in a cavernous reverb as her words seem to fall down a deep well. The gargantuan guitar hits on the otherwise stripped down choruses add a downright abusive element to the song, every one sounding like a push or a hit, whether physically or emotionally; this is furthered by lyrics such as “you’re a woman, just lie back and take it”. The following “Savour It” is the emotionally-charged counterpart that follows, telling of a break-up from a woman’s perspective, someone who has resigned or numbed herself to its fate and gone beyond caring. It fittingly opens with a very mournful Mellotron over patient, rolling percussion, with the Mellotron standing in place of the orchestral arrangements that colour the rest of the album. Despite the saddening tone of the song, there is definitely a sense of acceptance over the situation, especially in the choruses, which seem to speak to a sense of holding on to that feeling of numbed pain, knowing that it won’t last forever. The relatively insignificant “Everybody Wants to Sin” still has its shining moments. The dirty synth bass makes for a fantastic sound, while the song’s bridge features a swarm of quivering strings that give it a rather sinister feel, something like the musical equivalent of a Dutch tilt, while everything feels unsettlingly sharp and in focus. 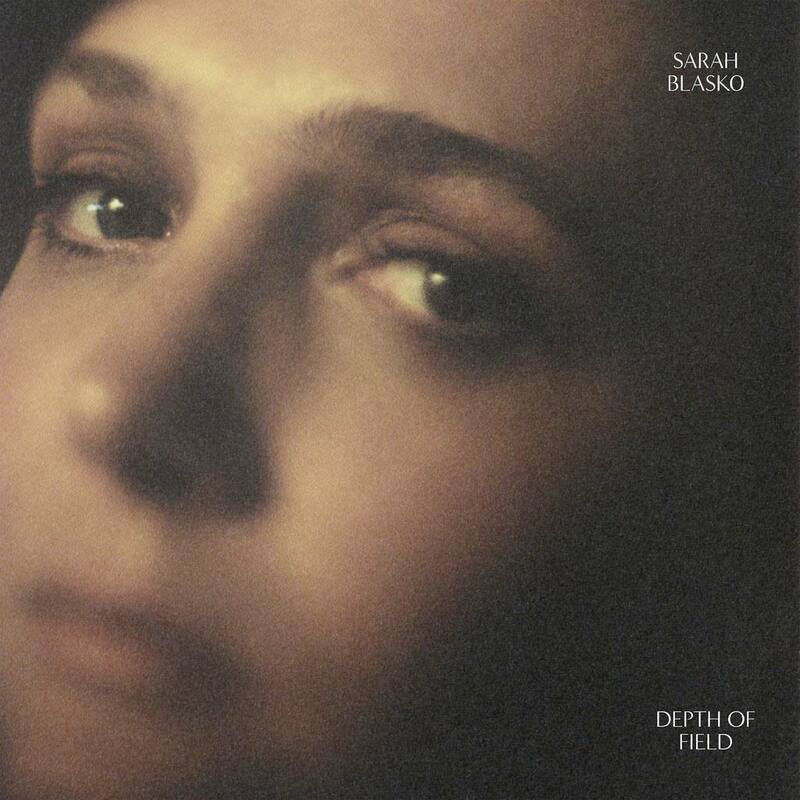 With Depth of Field, Sarah Blasko has embraced the best of both of her worlds. There are touches of her older, more organic chamber pop-infused sound, as well as the more recent synthpop, all wrapped up with the lavish string arrangements. While the lyrics are fairly straightforward, this also sometimes lets them pack an added emotional impact and overall, the concept of different scenarios from different perspectives is executed quite well. Thus, coupled with the album’s themes, it makes for one of her most holistic and focused releases to date. A very good album, and one should expect no less given the quality of her previous output – as well as her consistent evolution with every record.